Where Can I Learn How To Drive A Forklift? Read Here Where - Be Certified Today! If you are asking where can you learn how to drive a forklift, then you are at the right place, here, we have listed down the training providers where you can get training. We have composed this guide to inform you everything you need to understand in order for you to make an informed decision where you can take forklift training from since there are many possible choices you can make. You can learn to operate fork truck in local community colleges, vocational trade schools, heavy equipment rental facilities, forklift dealer and truck driving schools are the routes you can take. As we mentioned above, here are the directory of training providers with their postal addresses and contact details so that you can easily contact them. Taking the training from community college can be idyllic for those individuals who are short in budget. Some community colleges can provide forklift training at no cost or at lower tuition fees. Community college can be a suitable place to get forklift training because trainees don’t have to go far away, and because of its proximity, student can have convenient time to take the course. US Forklift Operator Certification – This training school offers service in many states, they also service Canada and Mexico. This school provides online forklift certification. The training curriculum complies with OSHA standard; provide forklift training services to individuals and employers. They been in the training business for quite sometime, you can be assured of quality training if you opted to take the course from them. Did you know that facilities where forklift training is to be conducted play a major role in the absorption of knowledge by the students? This is where the heavy equipment rental companies have a good advantage. If you prefer to take forklift training from rental company, then you could be assured of high-quality facilities such as classroom and near-identical work environment, aside from state of the art forklifts they have in their arsenal. Herculift Inc - 5655 Hwy 12 W., Maple Plain, MN 55359, Toll Free Phone: 800-362-3500, Phone: 763-479-2501, Fax: 763-479-2296. Serves other nearby states as well. Hugg & Hall (Training Department) – Serves Little Rock, AR (1-501-569-5837), Blytheville, AR, Conway, AR, El Dorado, AR, Fort Smith, AR, Jonesboro, AR (1-870-333-9063), Springdale, AR (1-479-361-9347), Texarkana, AR (1-870-875-5835), Baton Rouge, LA (1-337-330-5024), Broussard, LA (1-337-330-5024), Houma, LA, Oklahoma City, OK, Tulsa, OK (1-918-513-8792). Fairchild Equipment – Provides training in Wisconsin and Minnesota states, you can contact: (844) 432-4724, gives initial forklift training, refresher courses and train the trainer courses. Forklift training can be delivered by the dealers themselves. Training from them is ideal because they have developed training curriculum best suited for a specific forklift brand and model. Instructors from forklift dealers are highly specialized since the type of equipment they’re handling are forklifts. Instructor can give trainees the best training possible. 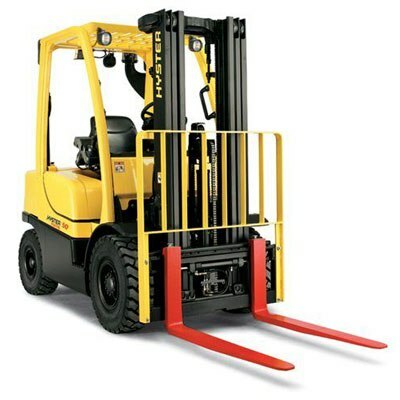 • Yale Forklifts – you may visit: www.yale.com/north-america to find more about nearest dealer that provide training in your area. When taking forklift training in a truck driving school you must remember some basic tips in choosing the best one. First, the length or the number years they’ve been in the business, the longer they are, the more reputable they will be. The second thing to consider when choosing is their track record. You can scour or ask trainees who’ve undergone training in a particular school and know how the school delivers. The third one to consider when selecting is if the driving school provide job placement after training course completion. The fourth advice to regard is the ratio of student to instructor. The lesser student in a class, the better will be for you to absorb knowledge you needed for the job. If you opted to take forklift training from a truck driving school, here’s the schools you can enrolled at in the US and Canada. Smith & Solomon Commercial Driver Training – located in New Jersey, forklift training is held in monthly basis, you may contact 1-800-622-0355 for inquiry of schedule. Let’s admit it, when operating the forklift there will always be danger that entails. Forklift has been the cause of dozens of deaths and thousands of injuries each year according to OSHA and BLS. Because of the rising statistics, OSHA implemented and enforced their 9 CFR 1910.178 forklift training standard. According to this standard, forklift training shall composed of classroom lecture and practical assessment before an operator can be certified. Other provisions has also been stated. For more information, read this. The most common forklift accidents are tipping/turning over and hitting of structure inside the warehouse that cause damage to property. Injury from forklift can be life-long suffering and the money that will be lost in an accident can be staggering amount. Accidents involving forklifts can be somehow prevented in the day to day work shifts. Employers are required to have a safety program for their forklift operators detailing measures in supplying of regular training course to their workers. Getting forklift training is important if you are seeking employment as operator or if you just want to add additional skills into your portfolio. Above are the possible locations where you can learn how to drive a forklift. So there you have it, we even included the addresses and contact numbers of each training providers so that you won’t be having hard time contacting them if you do so.